Whanganui's Sarjeant Gallery opened in 1919. The name commemorates local farmer Henry Sarjeant, who left money in his will for a public art gallery when he died in 1912. 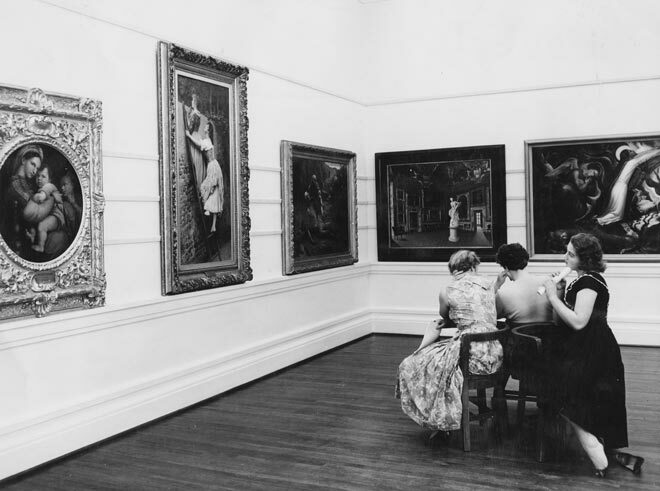 These women, who look as though they have been artfully arranged by the photographer, are contemplating large paintings and the exhibition catalogue in 1958.